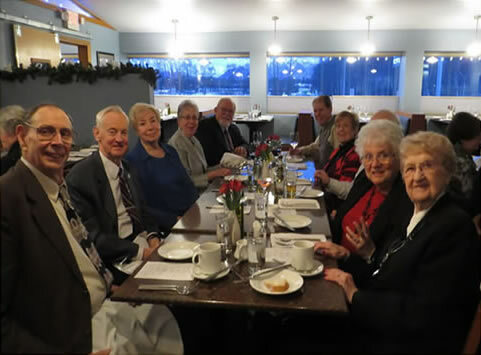 Members and guests are welcome to attend all Social Events which take place at the Pioneer Hall, 612 F Street in Anchorage, unless otherwise stated. The third Tuesday of the month is designated as “The Social” for both the Men’s and Women’s Igloos. 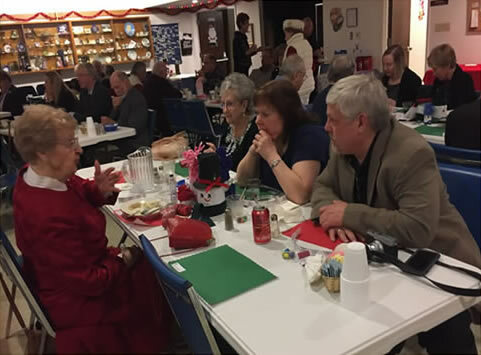 These Potluck Socials generally include a guest speaker or presentation and begin at 6:30p.m., excluding the months of June, July and August when we take the summer off. A brief description of the other events follows below; check the Schedule and Calendar of Events for dates. Click on the event title to open for more details. 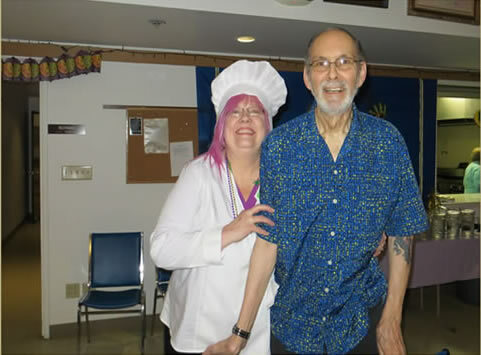 The fourth Thursday of every month including June, July and August, a birthday party celebration is provided for the residents of the Anchorage Pioneer Home by both Igloos. 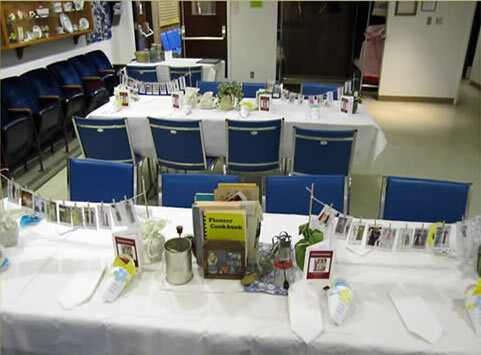 During this time the residents who have birthdays during the month are recognized with a personalized birthday card. 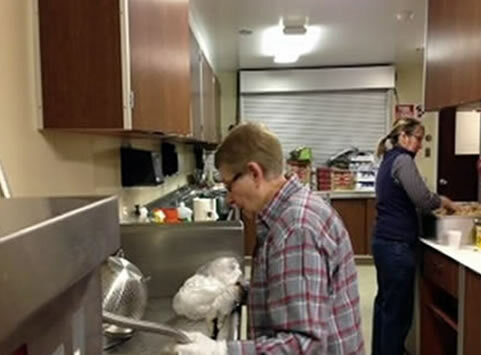 The staff of the Pioneer Home bakes a cake which is sliced and distributed to all residents by the Igloo volunteers. 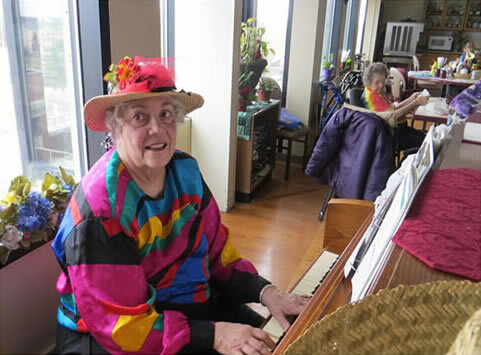 We usually have a Women’s Igloo member as pianist that is a special treat to all the residents! The celebration is capped off by the singing of “Happy Birthday”. 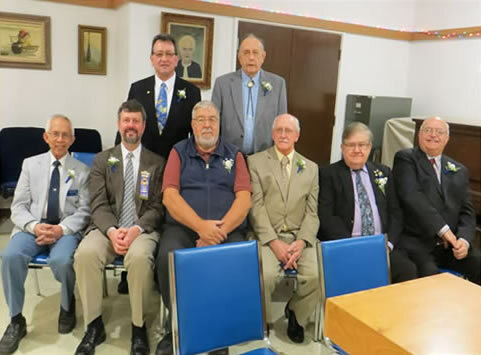 The Installation of Officers for the year kicks off our Social Events Calendar and is presided over by the Pioneers of Alaska Grand Igloo President. 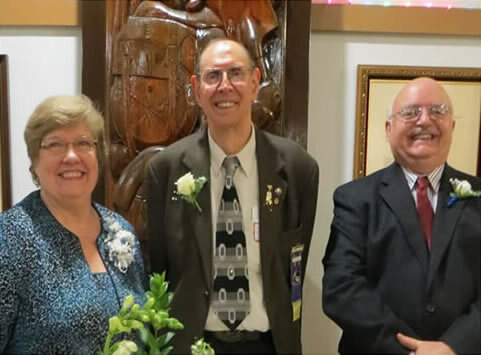 The outgoing officers are present and assist the incoming officers as needed. The Grand President introduces himself to the Igloo with a brief personal history. 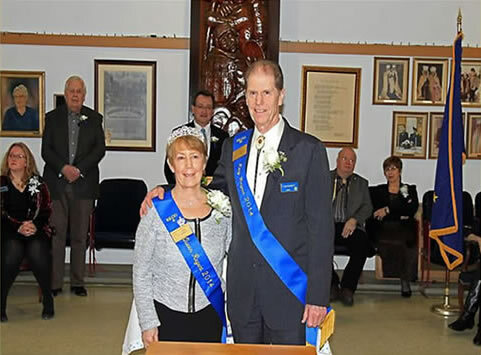 During the installation, the King and Queen Regent for the year, who will participate in the Fur Rendezvous celebration and other designated events, are announced. A reception follows the ceremony. The Coronation of the King and Queen Regent is a very gala affair. 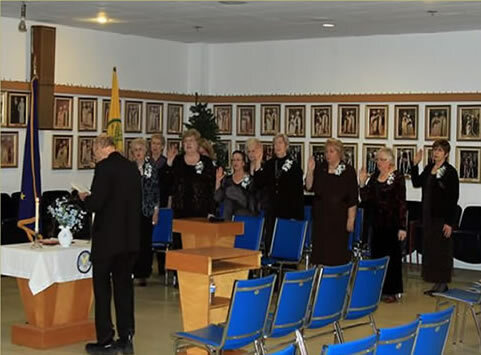 Past Kings and Queens that are present are introduced and escorted to a place of honor. 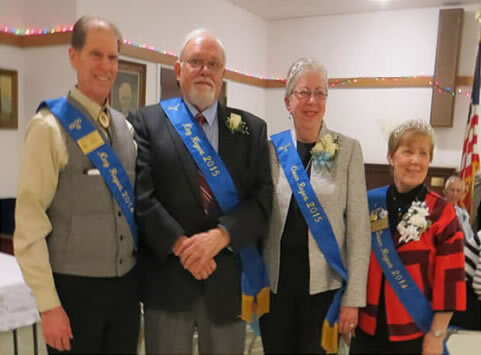 Everyone wears their sash which displays the year of their reign. The current reigning King and Queen pass the Official Crowns and Robes to the new royalty. A reception tea follows the ceremony. 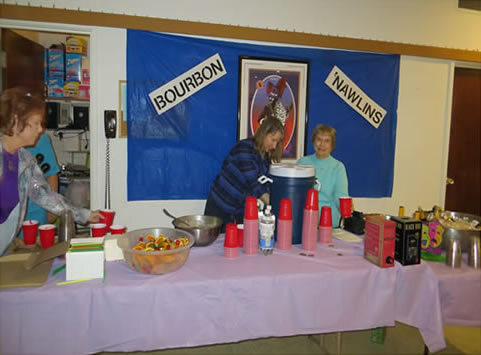 Our annual Pancake Breakfast is held during Fur Rendezvous although it is not officially a Fur Rondy event. 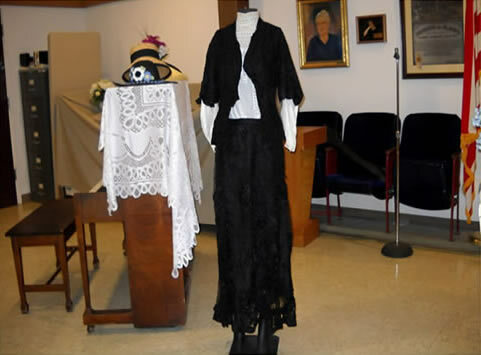 This is a two-day event, Saturday and Sunday mornings, and is open to the Public. The men flip the pancakes and ham while the women take care of hosting, serving, and clearing the tables. Pancakes, ham, orange juice, white and chocolate milk, coffee, tea and hot chocolate are on the menu. 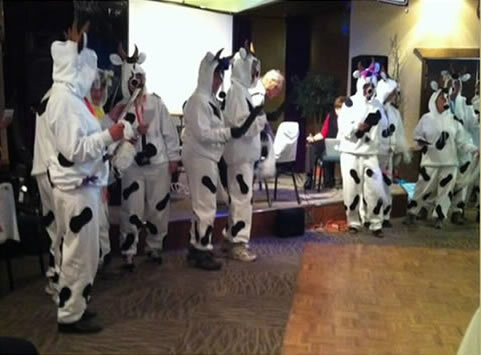 The Fur Rondy Royalty arrives at some point to enjoy a hot breakfast before they make their appearance in the parade. The Keystone Cops usually come in willing to sell Fur Rondy buttons (if you are not wearing one, you might be arrested). 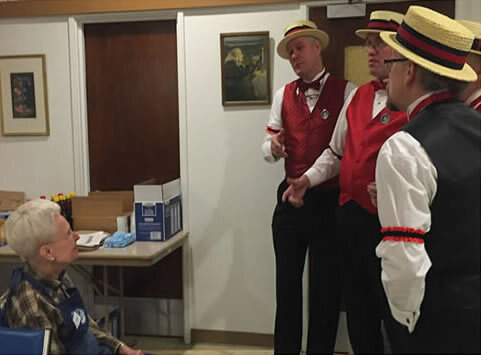 There is often a men’s barbershop quartet has made it a tradition to make an appearance and belt out a few songs for the appreciative diners. 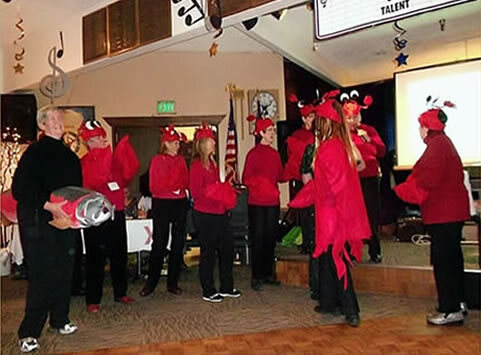 It is a fun time for the attendees as well as the workers. Fun Night is a dinner with entertainment. Tickets are sold for this occasion. In the past, entertainment has been a scripted spoof with Pioneer members playing the characters or just games. It can be whatever the chair person(s) choose. However, it usually lives up to its name of being a fun night. 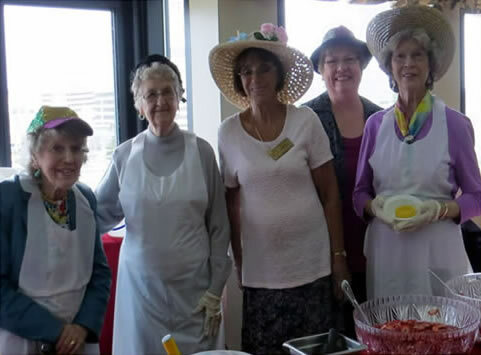 The Strawberry Festival is held for the residents of the Pioneer Home. 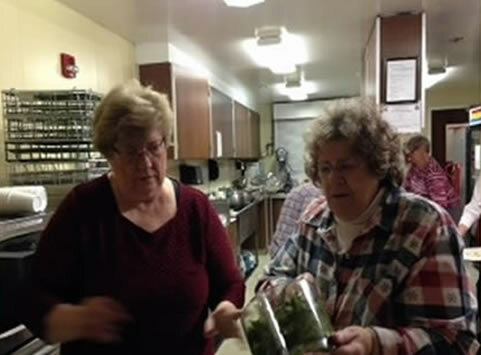 Members meet at the Pioneer Home in the morning to clean and hull the berries. 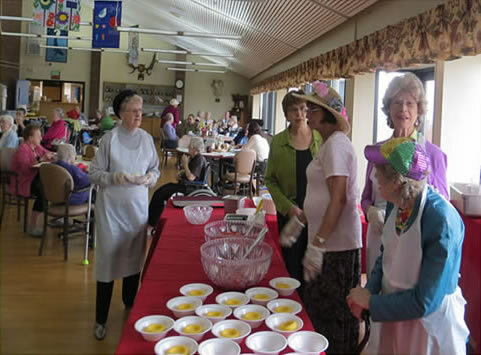 They return in the afternoon to serve strawberry shortcake to the residents. 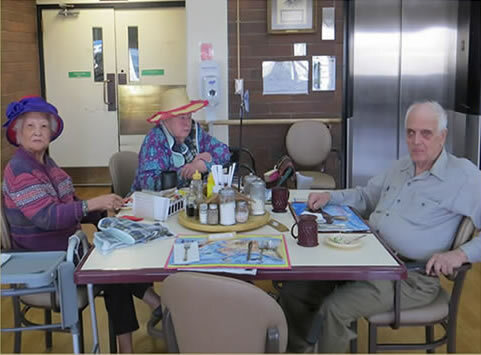 When a pianist is available the residents are thrilled to have music as they enjoy their dessert. All the fixings are provided by the Igloos. The Scholarship Award Ceremony replaces our May Social. 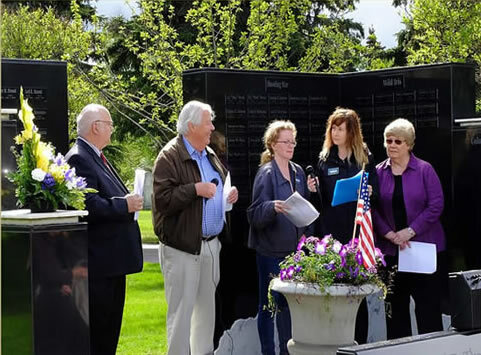 Each year both Igloos award Scholarships to Anchorage School District graduating seniors who are direct descendants of the Anchorage Men’s or Women’s Pioneer members. 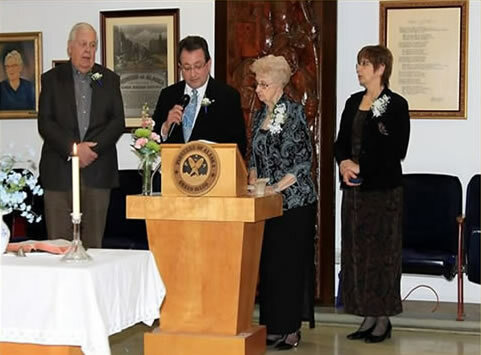 This event includes the Scholarship Recipients and their families and is a potluck dinner. 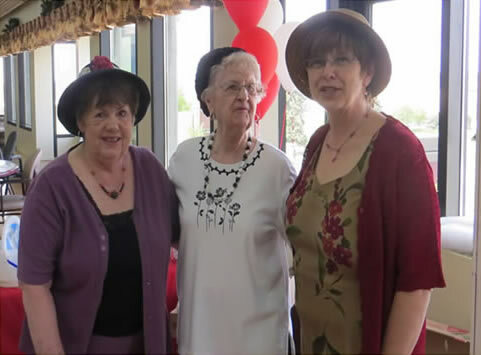 Women’s Igloo #4 holds a Spring Luncheon each May. Tickets are sold and the location, determined by the chair(s), is generally held at one of the hotels in the area. 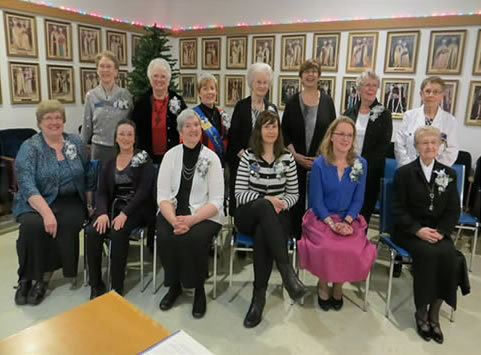 This event originally began as a way of saying “Thank You” to all the women who did so much during the year. 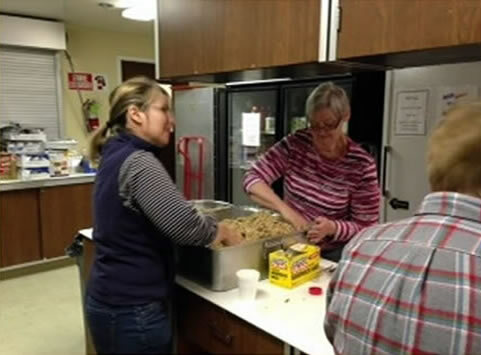 It is the one time each year that the women get to be waited on and have a meal served to them rather that preparing it themselves or serving it to others. The Grand Igloo Snider Park Picnic is hosted each year by the Palmer and Anchorage Men’s and Women’s Igloos and is usually attended by Pioneers from across the state. Snider Park can accommodate campers or motorhomes and several will usually be parked around the perimeter of the park. Rain or shine a good time is usually had by all. Snider park is in Wasilla. 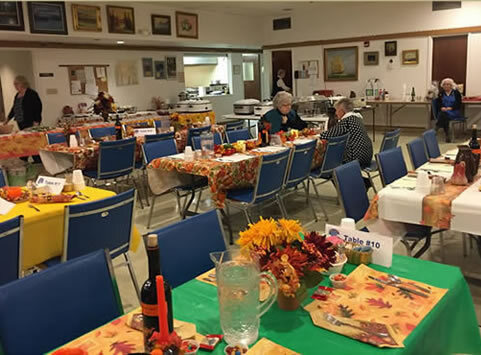 A Harvest Dinner is provided in the fall. This is a ticketed event but with dinner served at 2pm and 5pm. A full course turkey dinner is served. The turkeys are donated and then roasted by Humpy’s Restaurant. 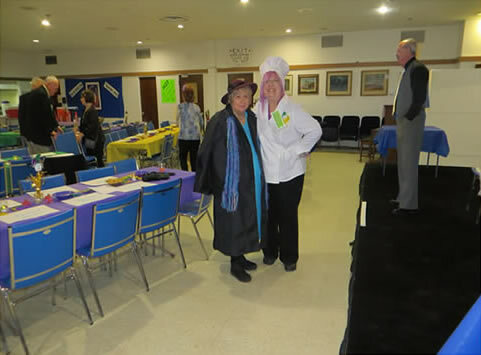 The women prepare the side dishes and pies. 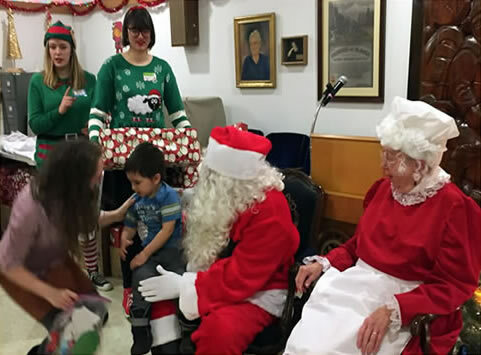 A Christmas party is held for children that are descendants of Anchorage Pioneers of Alaska. 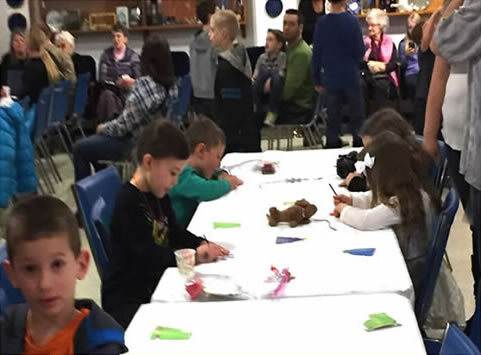 Craft tables are available for the children to do such things as decorate cookies, make ornaments, etc. The party culminates with the arrival of Santa who gives a present to each child. Occasionally, Mrs. Santa accompanies Santa. 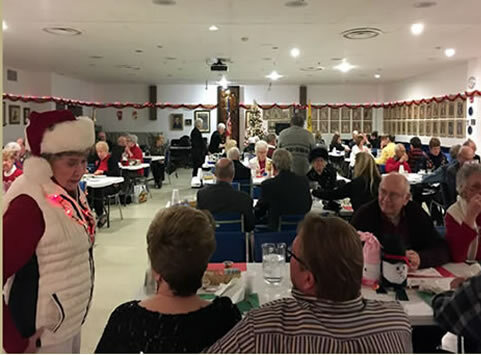 An Adult Christmas party is the December social. Tickets are sold. 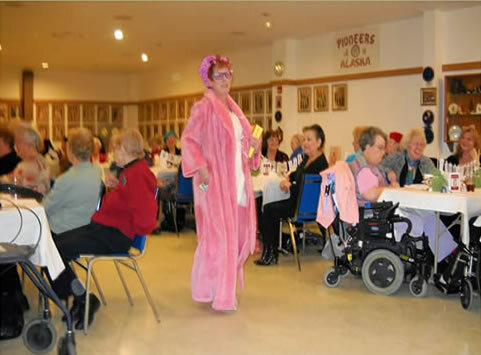 Dinner is served and music is played during the meal and for dancing after. Donations for Beans Café are accepted and a gift exchange is provided for those who wish to join in.